Get your forwarding address and use our free warehouse services! We provide you with a home address – not a post box address – as your new delivery address in Germany, which you can use as your “shipping address” for all your online purchases in Europe. 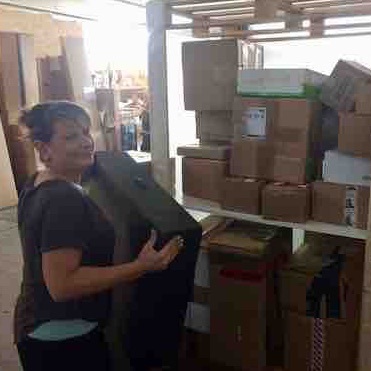 Your new German delivery address is actually our warehouse, where we receive, check, photograph, store, shrink, consolidate, secure and repack your items for free, before we forward them. 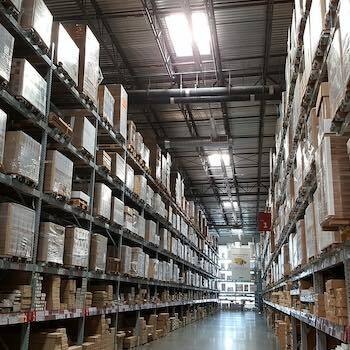 Learn more about our entire warehouse & forwarding services. Our warehouse is located in the “green heart” of Germany: the beautiful city of Weimar in Thuringia. Get your German shipping address now! What is the difference between a home address and a post box address? A home address is the better one for our purpose of having a delivery address in Germany! Because it’s a “normal” address, which does not include any post box numbers etc. which could be read as a commercial or company address. Some merchants do not deliver to post box addresses but to home addresses only. 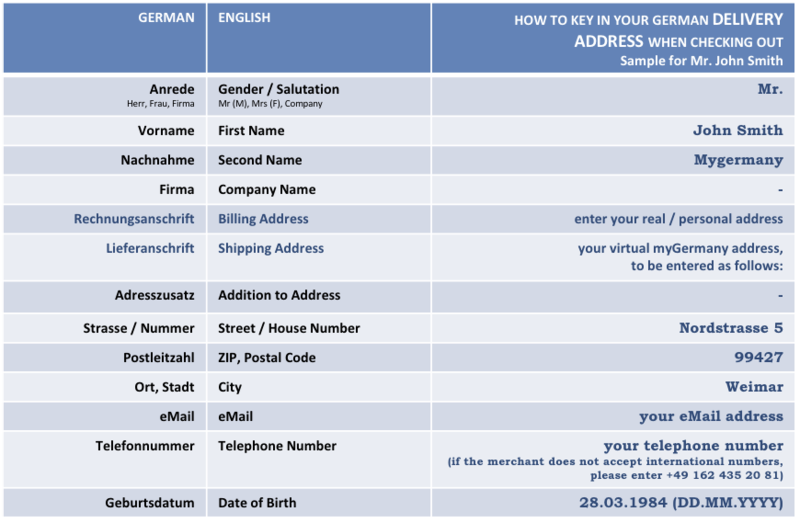 How to use my new German forwarding address? When checking out at the German online shop, just enter your delivery address as follows. 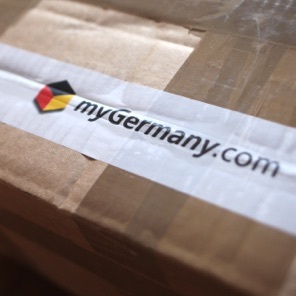 Please mind, that your your myGermany address must be the delivery address only. Your billing address should be your actual address (if this is not possible, please contact us). Can my new German delivery address by my billing-address? No, as per German laws your billing address has to be your actual address (to prevent any fraud-attempts and to protect merchants). If this is not possible, please contact us.